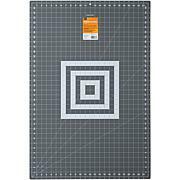 Fiskars Self-Healing Rotary Cutting Mat - 24" x 36"
FISKARS-Premium Cut-Line Trimmer. This trimmer allows you to cut with confidence due to the wire cut-line that shows you exactly where the blade will cut. 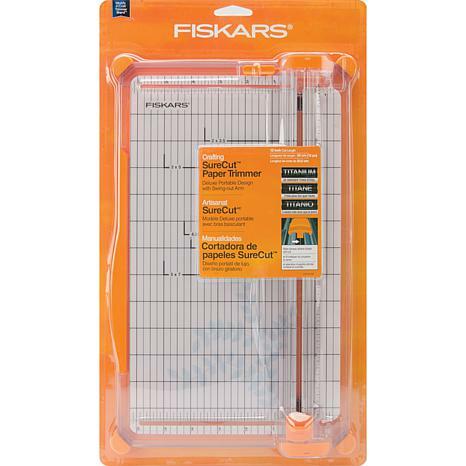 Other features include a larger workspace (6-1/4in), a self-leveling 15in ruler for precise measuring of larger paper, a lightweight design with rail lock to make it portable, and easy cutting action with a high profile handle. 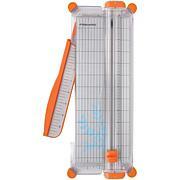 This package contains one 14-1/2x8-1/2x1/2in paper trimmer with blade. Uses blade style I replacement blades (not included). Caution: Sharp blade-handle with care. Imported. Uses blade style I replacement blades (not included). The best trimmer there is....nice sharp cuts....love it! I love this trimmer. It is accurate. There are inch measurements at the top and the bottom. You can line up your paper evenly. It is very clear to read unlike other trimmers. 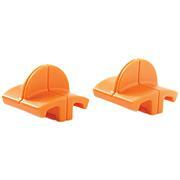 And, you can buy the additional blades and a scoring tool to fit into the trimmer easily. Where have you been all my life? This is the best paper trimmer I've ever owned! After 3 tries, this is the ONE! I'm an avid scrapbooker and I've found that some things is not worth skimping on and this is one of them!! You just cannot go wrong with this top quality name, don't linger any longer just get it it's features are far superior to other lower brands, ( not that theirs is not good) but this is the best value!! An excellent trimmer for the price, small footprint for crafting table when I leave it out. 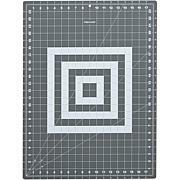 Cuts well and long edge guides allow perfectly square cuts. Easy to see where cut will be and great size for all projects. Turn your creative ideas into reality with selections from this leader in craft product innovation. A global marketer and manufacturer of craft and garden products, Fiskars and its engineers understand the painstaking effort customers make to preserve their precious memories.